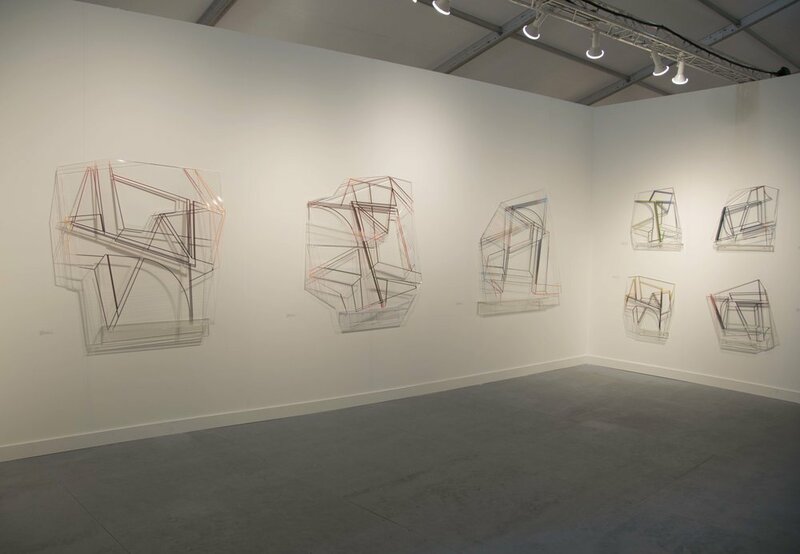 reference: contemporary is pleased to present Kal Mansur's Non-Specific Objects, an entirely new body of work that will be launched at Pulse Miami Beach. The fair opens on Thursday, December 6 and runs through December 9, 2018, at Indian Beach Park. What is a line? The question is naive. A line, real or imaginary, signifies a path, a continuous point, a moving mark. It designates both a reality and its figure: the line of a mountain, for contour; the line of a body, for its shape; the line of water, for a demarcation. The line operates in everyday life with such efficiency that we forget that this simple word not only organizes our perception, but determines our basic rapports between front and back, deep and shallow, in and out, near and far, on and off, up and down, past and present, today and tomorrow. Our physical geography, our relations to nature, and even the whole domain of our culture, are topographies structured by lines. Kal Mansur's work figures an artist's apprehension. At AQUA, the gallery will be presenting work by Margie Kelk, JP Rautio, Kal Mansur, Matt Neuman, and Court Swartz, all abstract artists. 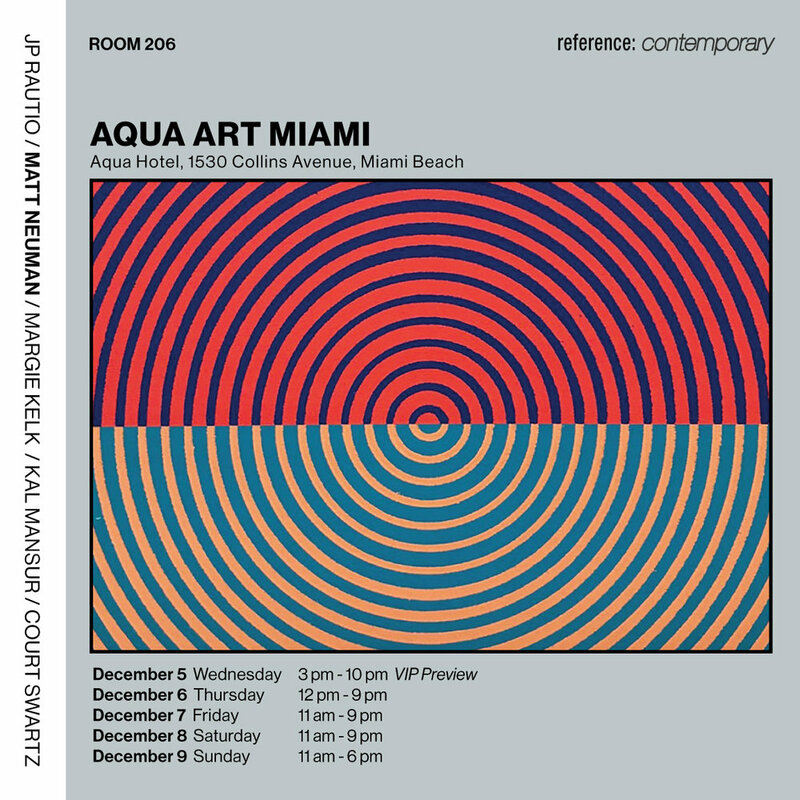 AQUA’s unique environment – in a classic South Beach hotel with spacious exhibition rooms that open onto a breezy, intimate courtyard – has become a favorite gathering spot for collectors, curators and art lovers to discover fresh talent and acquire new works while exchanging cultural ideas and forming meaningful connections. In Margie Kelk’s new animated film, UnderSee, created with animator Lynne Slater, with an original sound score by composer and cybertheorist, Alan Sondheim, Kelk conveys a world of exquisite harmony which slowly dissolves under the relentless onslaught of pollution. A clean-up crew of aquatic species arrives to eat away the invasive pollutants, and the undersea garden seems to regain some life. The question remains: can the reef and its creatures continue to withstand new threats, or will they give way to a murky universe of jellyfish that can survive in adversity? 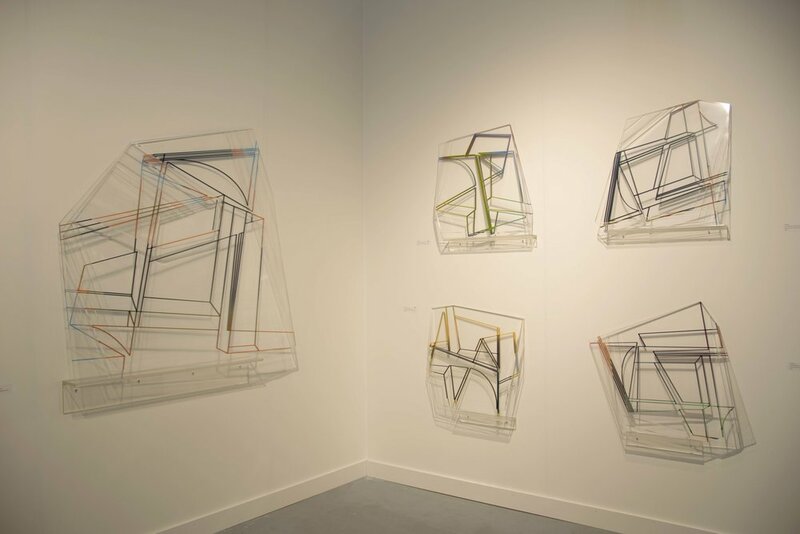 In combination with a premiere screening of UnderSee, Margie Kelk will exhibit a new series of cast aluminum sculptures and a multiple series of works on paper. View the press release here and here.